Cebu, Philippines - The Philippines has one of the largest Warcraft 3 DotA communities in the world. With the recent launch of Valve's Dota 2, we tried to delve into the reasons why Dota 2 has not yet become as widespread as it should be in this Southeast Asian nation. In 2005, DotA started becoming huge in the Philippines. Internet cafe owners started seeing their establishments become filled with DotA players as Counter-Strike, Starcraft Broodwar and Ragnarok Online's playerbase started switching to the 5 versus 5 Warcraft 3 custom map. With nearby gaming centers charging less than 50 cents an hour, college students started treating DotA as an affordable way to bond with their classmates and help them get to know people. DotA's growing social significance and it's 5v5 format made it convenient for groups of basketball teams to allot time for DotA games after playing basketball. As these college students graduated to the workforce, companies started holding DotA tournaments to serve as team building exercises which further fueled the awareness of DotA in the country. As DotA's popularity started rising, pirated copies of Warcraft III bundled with a folder of DotA maps started selling like hotcakes. The ones who bought the 3 dollar bootlegs shared them with other people or made new copies. By 2006, Warcraft 3 became the most pirated game in the country's history. Internet in the Philippines is relatively expensive, slow and unreliable. The average home user pays 25 USD for a connection that rarely reaches the advertised maximum speed of 1 Mbps. For many Filipinos, downloading Dota 2 could take a couple of days due to it's 5 GB file size. 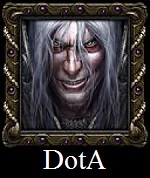 In comparison, Warcraft 3 DotA's file size does not reach 10 MB. Due to Dota 2's way of distribution, players and internet cafe owners are forced to download the game on Steam and wait instead of being able to conveniently purchase a 1 dollar DVD installer. With Dota 2's constant updates, it is not uncommon for Dota 2 to be inaccessible in internet cafes for hours as shop owners update the game. LAN is the most reliable connection for gamers - a feature needed by gaming shop owners in order for the customers to continue playing even when the internet is down. In cyber cafes around the Philippines, Heroes of Newerth and League of Legends players go back to Warcraft DotA when this situation happens. Without LAN, Dota 2 isn't expected to be as huge as DotA 1. One of the biggest reasons why Starcraft 2 failed to take off in the Philippines is because the local distributors of the game used Australia's prices (the highest in the world) during it's launch. Using the Philippines' minimum wage as a starting point, it would take half a month's worth of wages to save up 3500 pesos (80 USD). By the time the numbers came in, Blizzard realized their mistake and tried launching the Starcraft 2 prepaid card model for the Asian market but it was already too late. The idea that Dota 2 isn't free started when Steam started selling Dota 2 at 40 USD. When Filipino DotA players who heard about the new Dota checked out the Steam page, they saw the price and a lot of them went back to WC3 DotA with the notion that Dota 2 is a paid game. "Why pay 40 USD for Dota2 when both DotA and Heroes of Newerth are free via Garena?" This misconception is so widespread in the Philippines that many players are genuinely surprised when they find out that beta keys are not needed and that Dota 2 is actually free now. During this time period, League of Legends saw an opportunity to take a slice off one of the biggest DotA communities in the world by partnering with Garena and branding itself as the new Dota. When LoL PH started, League of Legends was seen by a lot of Filipino gamers as a game for kids where those not skilled enough for DotA go to. The social stigma against the "pambata" (kiddie) League of Legends slowed down the switching rate among the teenagers who did not want to be ridiculed by their "barkada" (group of friends). Because of the dismal number of players for League of Legends Philippines, Garena decided to ramp up marketing by advertising LoL in all Garena DotA rooms and by encouraging DotA players to trade in their DotA account for a League of Legends account. Those who switched were able to qualify for raffles where items like iPads were given away. Thanks to Garena LoL's aggressive marketing, League of Legends was able to take at least 300000 registered accounts - a huge feat in a country where DotA is king. Although LoL was able to take a small slice from the DotA population, it is miniscule compared to the number of Filipino DotA players. At it's peak, DotA could easily get more than 200000 concurrent Filipino players on Garena's servers alone. Warcraft DotA, Heroes of Newerth and League of Legends have lower system requirements compared to Dota 2. This barrier of entry will be reduced as more game performance optimizations are introduced by Valve and as PC owners upgrade to hardware that can run Dota2 without any problems. The wider hardware support for DotA is one of the reasons why WC3 DotA is still played by a huge number of Filipinos. In order to maximize profit, internet cafe owners use older PCs and avoid additional expenses and upgrades for as long as possible. As Dota 2 becomes the game of choice, shop owners that operate with old computers will be forced to either shut down or upgrade their computers in order to attract their biggest customers - Dota players. One of the reasons why the Philippines continues having DotA tournaments is because it is a tried and tested crowd drawer. It is quite common for game companies who want to launch a game in the Philippines to sponsor a DotA tournament in order to advertise their game. Event organizers have less to worry about with WC3 DotA since it can run without an internet connection. Organizations like Mineski and the Philippine Esports Organization will continue holding DotA tournaments as long as it is the biggest crowd drawer. Once these are addressed, Dota 2 has a big future in the SEA region. btw, if your a shop owner you dont need to download dota 2 again in other pc.. you just need to copy dota 2 folder from the steam folder of the pc which has a complete dota 2 and put it the right directory of the other pc which dont have a dota 2.
to make it more simpler, there is backup function in steam. create a dota2 backup (on pc that already installed) and then restore it to another pc that doesnt already have dota2. it will saved you some time and bandwidth. you're, and every shop owners know how to do that. the almost 200MB updates make it hard to have dota2 on every pc. it will slow the internet connections more. maybe valve should think about having really huge downloads just for updates. Wtf wood pc, bad connection then blaming the game? Pinoy Doto at its best.. I can't completely agree with these points. I feel that it is the player's own responsibility to ensure that they have the appropriate hardware to play the game and not ruin the experience for the other players. I doubt Dota 2 can be optimised any further to support older hardware already. If they cannot afford the hardware they can still go to the local pc shops although perhaps play at a premium. And for point 7, the hero release is at the developers' discretion and I don't feel it is the most important point for Dota 2 flourish. > feel that it is the player's own responsibility to ensure that they have the appropriate hardware to play the game and not ruin the experience for the other players. having less lag will ruin the experience for other players? About download - you can download it once and make a backup (Steam has this function) and then restore as many times as you want (using network, usb or dvd or anything else you want). Nice article. Pretty much tells the current situation of the game in ph. I still see alot of people playing wc3 dota because of hardware and network deficiency. I remember when dota 2 had a LAN tab that never gone into release. This only applies to net cafes in the Philippines. Off course, people won't get emerge on to it if they don't see it a lot. 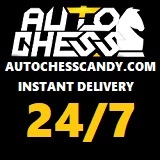 Most net shops are running on a low budget business. I heard that most of them are still running Windows XP which is phasing out of by Microsoft next year. Most of the people who actually owns their own system is playing Dota 2 because of its exposure in the internet. Better PCs and internet connection on computer shops. I couldn't agree more. Filipinos' attitude would never fit the level of professionalism that Dota 2 needs. That's the only reason. You forgot to mention that Pinoys are trashtalkers, quitters, trollers in the game and the most hated in most of the forums because of bad attitude and all. That is why it wouldn't be good. They want garena because when they play there and die and lose a lane, they just go quit and don't play anymore. And Filipino's perspective is not right as well and doesn't even know how to do proper line up. They would normally go all carry line up in a pub game even and then lose hard. Filipinos are not disciplined as well. There is no future for Pinoy Dota not unless the culture will be turned upside down. really? dude, well "pinoys are trashtalkers" part is quite true because of the culture, it hurts other nationality but not themselves, "quitters" not really only in LOL, not dota players, "trollers" - 100% youre right. By the way you deliver your comment, I can feel that you sir is also a Filipino. You're excluding your self from the negative thoughts about us from your message. If you wanted or wish for the culture to be turned upside down, why not start with yourself. Lead and influence other to follow not deliver your message like Filipinos are the lowest of the lowest. You are showing here the very attitude that you're trying to point here. Im Pinoy and I couldnt agree more. One reason i switched to Dota2 is because of this attitudes that ruins the nature of playing a game which is having fun. 2. Optimize Dota 2 to run on a wider range of hardware / older hardware = You can lower your visual settings to minimum and it'll run smoothly. 3. Have an alternative distribution system (DVD / CD installers) = I don't think steam offers that but valve can do something like that. 4. Have a aggressive marketing strategy (Dota 2 is FREE! campaigns)= Can't agree more. 5. Offer Steam cards at 2.50 USD (100 PHP) and 5 USD (200 PHP) denominations = You don't really need this coz all you have to buy is the cosmetics and tournament tickets. 7. Complete the hero roster (e.g. Goblin Techies, Terrorblade, Pit Lord)= they are already doing that with every big patch that they have. about your #1, you can play a lobby game which kind of feels like it's LAN but it still uses internet to play. I sometimes play 5v5 lobby in mineski with my friends and some of us even gets some lag issues. Other internet cafes don't mind for a pc upgrade. Some shop owners will say "Pwede na yan basta may Dota 1". So when they saw Dota 2 is now free, they don't know what to do, so they force their old hardwares for just to play Dota 2. And for me, that's one of the reason why some shops don't include Dota 2. Not all filipinos are quitters. Maybe you are playing in a pub game in garena. You can try other rooms like Mineski Infinity Captains mode room or Pacific Ichill room. There are no quitters there. And also not all filipinos are trashtalkers. There are still some well-mannered gamers here. "Mineski Infinity Captains mode room or Pacific Ichill room. There are no quitters there." Then there's Steam. I met a lot of DotA 1 players who don't understand how Steam works. Pinoys are like the plague of gaming communites in the SEA region so why bother. They flame, they troll and above all they know english but refuse to communicate and keep talking to you in their native language. Pinoys actually gave alot of gamers one of their worst gaming experience ever so I for one am quite happy with the low number of pinoys. Not all Filipinos are like that ya know. I'm a filipino but I agree with your statement. I, myself hate if I got a pinoy in a match, teammate or opponent regardless. They'll just flame and put all the blame on you. There is already a $5 USD steam wallet cards on sale. You want to lower it to $2.50 USD just to buy a key? Its just gona be a waste of time. if LAN is not available, why do we have computer shops had an internet connection? and some LoLer's (summoners) playing? 2. Optimize Dota 2 to run on a wider range of hardware / older hardware - their are some computer shop OWNERS fault because they want to get more income and doesn't want to spend. 6. Make the prepaid Dota 2 Store cards widely available (convenience stores) - I don't have an idea about this, hmmm this is not available in Loadcentral or any other Loading centers? This are my opinion as a Gamer , if you really want something there are no walls you can't pass through. my conclusion was Poor in Local marketing strategy (here in the Philippines) and poor system requirements of Computers in the computer shops because of some owners who are afraid to gamble..
3. You do know you can just copy the steam apps from the steam folder right? 4. Dota 2 is flourishing, but it just came out from beta... BETA! Look at how successful LoL is. 5. This is idiotic. You want people to go cheap with hardware and you want them to spend on stupid cosmetics that doesn't increase gameplay performance what so ever?! 7. Balance issues! LoL is popular even if the hero/champion pool is not complete! Not to mention you need to play a lot more or even spend to be able to permanently use them. And my last piece of 2 centavos, it's not that popular "YET" because most people are afraid of change (the transition from Dota 1 to Dota 2). Plus, preferences and competition for other MOBA games (LoL, HON, and Dota 1). valve should implement the dota 1 system which is; have a stable patch and release it independently to the dota 2 online system. this way, computer cafe owners can just install the game, patch it once in a while without having the "patch every now and then" problem. 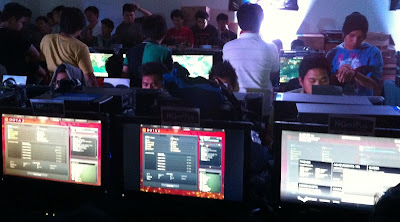 the players can also choose if they want to play the online dota 2 or the LAN dota 2. just like the dota 2 test system. it is independently patched to the actual dota 2. i hope you get my point. also, those trollers/flamers/bad mannered pinoys can just play locally in the cafe (since theyre bad at the game generally), with their friends. well i really hope theres someone on valve that can read this suggestion. it is tailored for the filipino dota players. theres a chance of valve hearing filipino fans if our representatives are making a huge impact on the pro/competitive scene. Also, using your Steam account on internet shop is a bad idea. There is a possibility of account hijack specially if you don't know the owner of the shop. Some net shops even have keylogger installed on their system. Steam has an option for 2 -step verification to tighten security. When you log-in steam it will ask for a verification number which was emailed to you (usually you will check your mobile phone for the email) Not all will have this, but who cares, if you dont have a smart phone in this day and age, you probably too broke to buy any games in steam, therefore you wouldnt even care if you get hacked or not. DotA 2 now has LAN but to create a local game you need to be connected online to steam... need to have a non steam version to call it free to play. Internet is still too expensive.